Every time I visit Europe, I always get this urge to ride a bike. We don’t have many cities in the states where biking is convenient, but over there it feels more accessible. 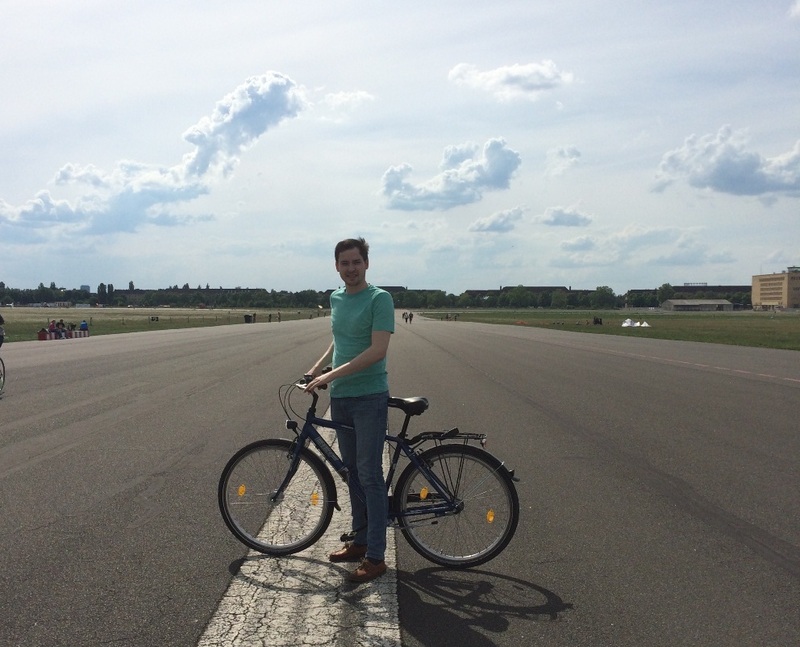 So on my latest trip to Germany, I talked Sebastian into renting bikes one morning. 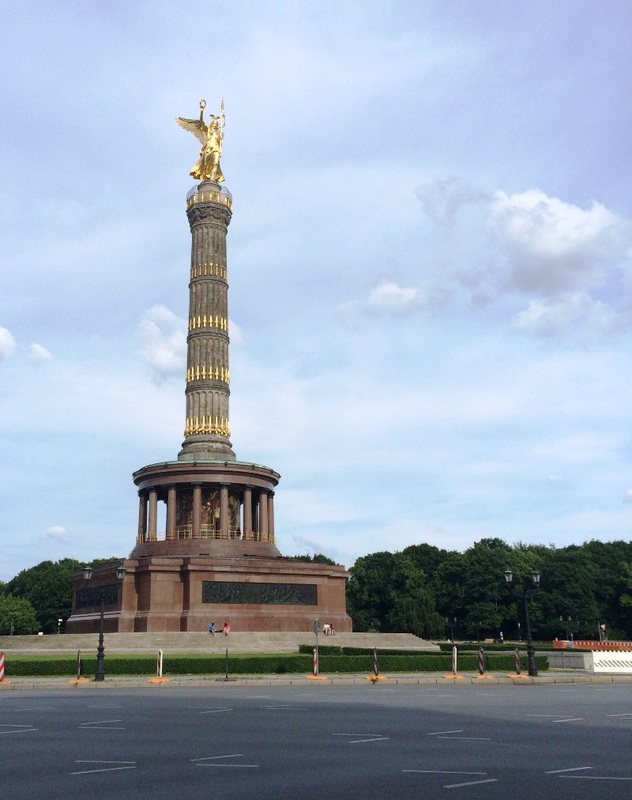 It couldn’t have been a more perfect day to ride around Berlin. 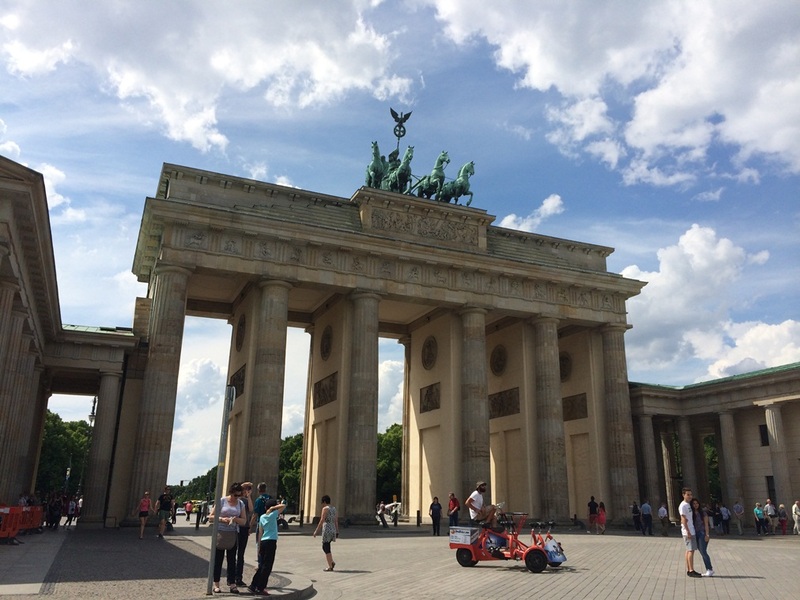 The sun was shining, there was a cool breeze and the tourists were scarce. 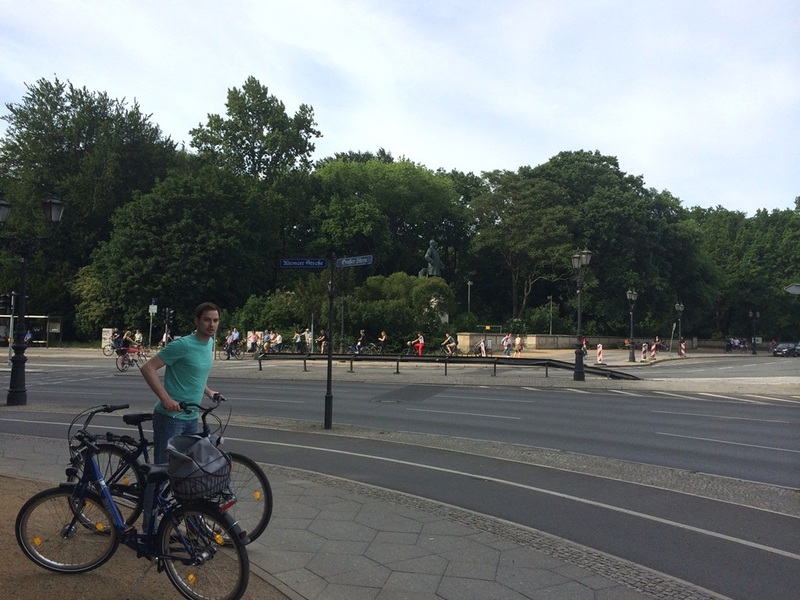 We started with a ride through Tiergarten park and then made our way through the city. 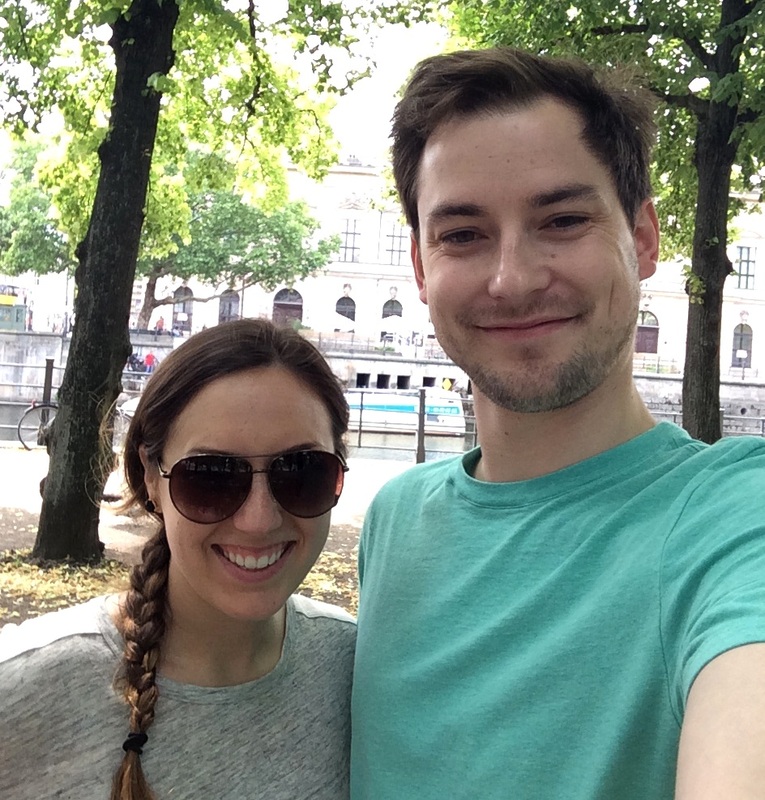 It was such a fun way to check out the sites and explore different areas. 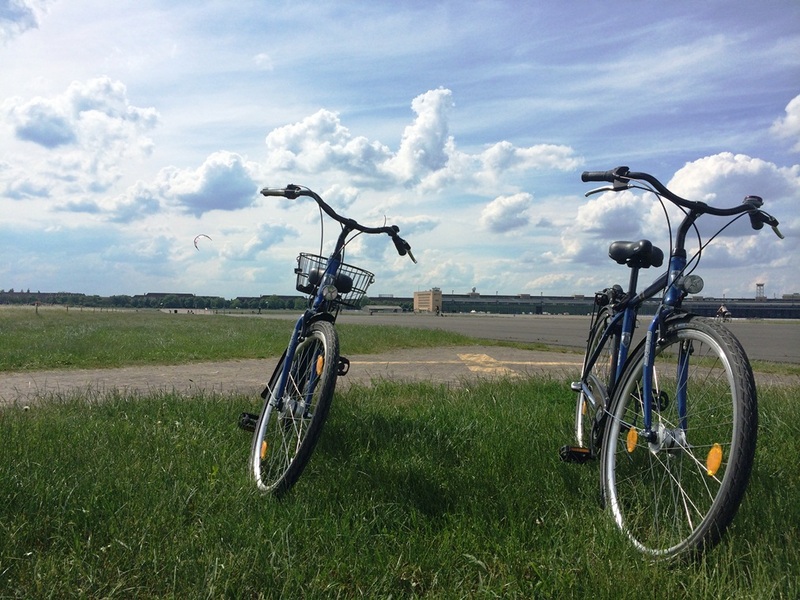 Eventually we started making our way to Tempelhofer Park. 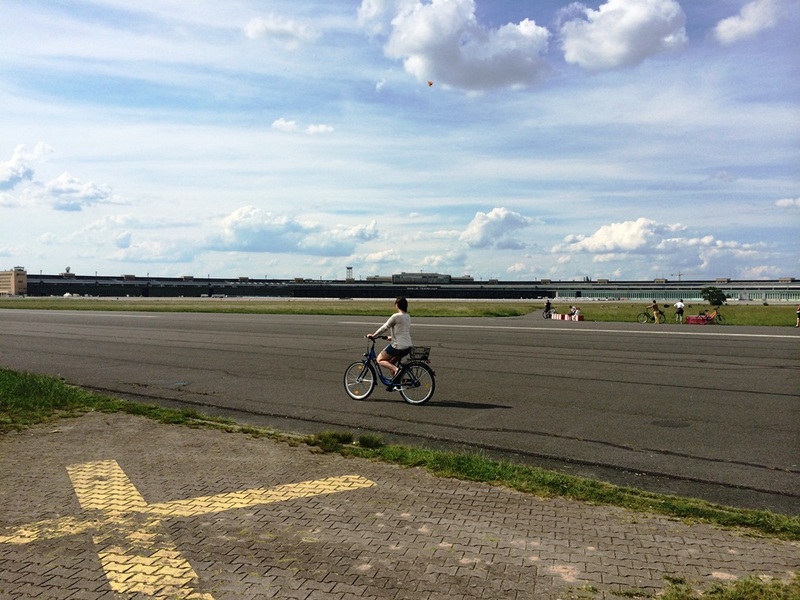 I adore Tempelhof, and I don’t think I’m in the minority here. 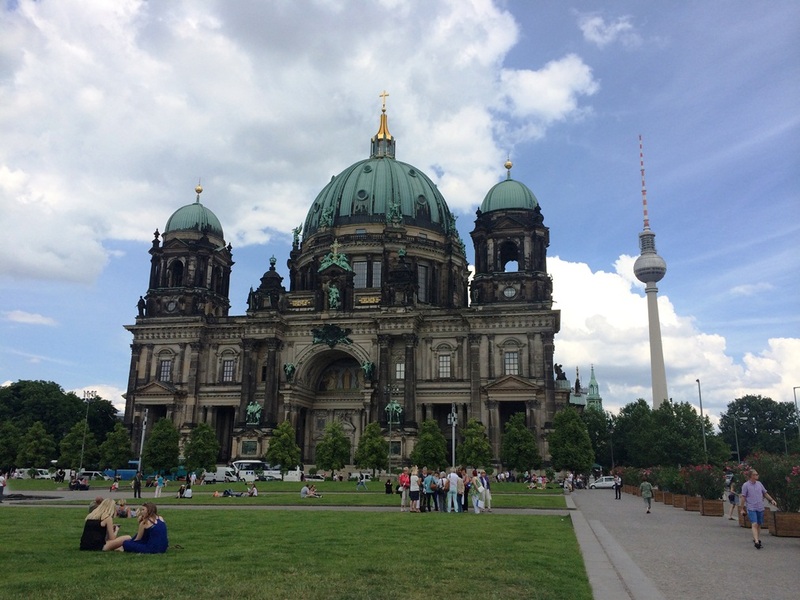 It is one of the coolest places in Berlin. 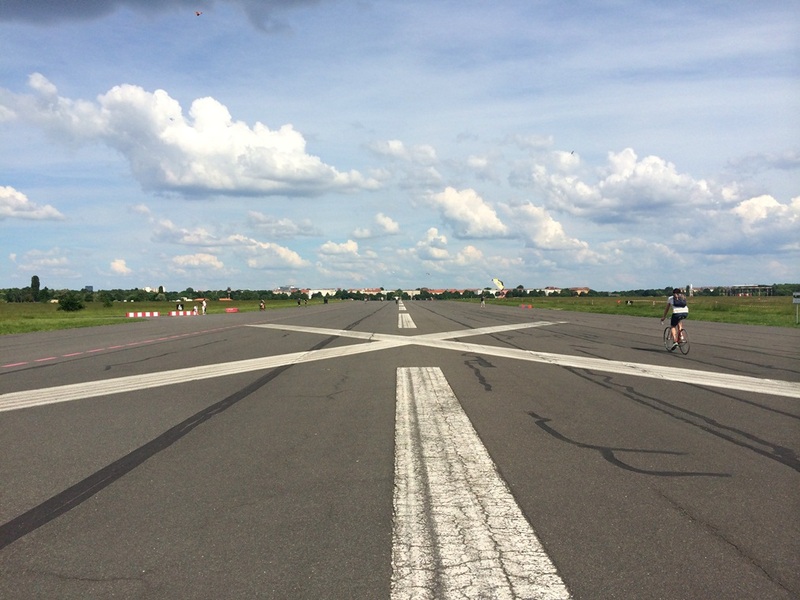 What was once an airport has now become a public space for cycling, kite flying and picnics. 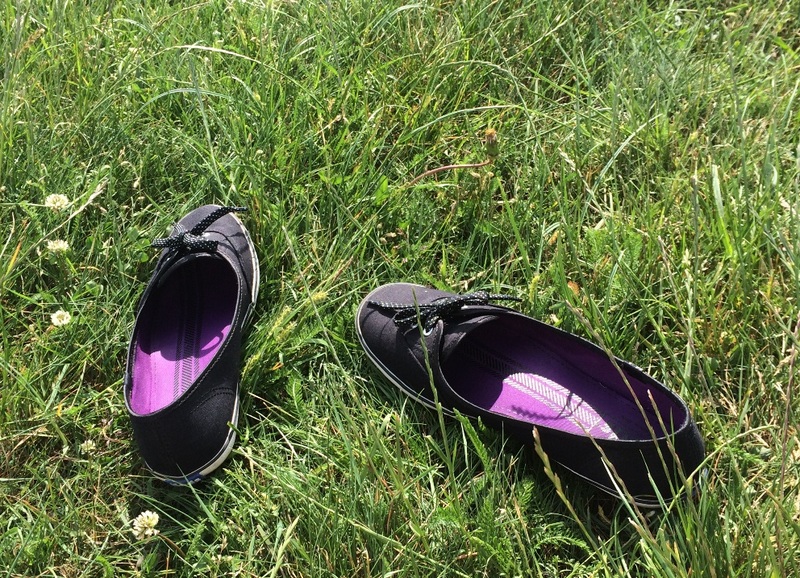 We kicked off our shoes, lounged on the grass and spent the afternoon people-watching. 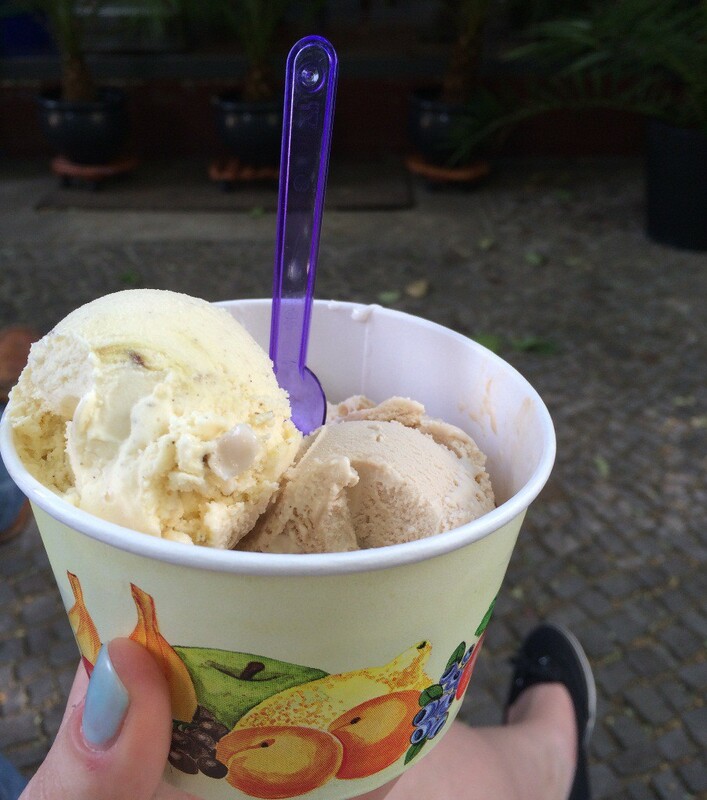 We stopped for coffee with Sebastian’s dear friend Maik on our way home and finished the trip with ice cream at a new shop that had just opened nearby. 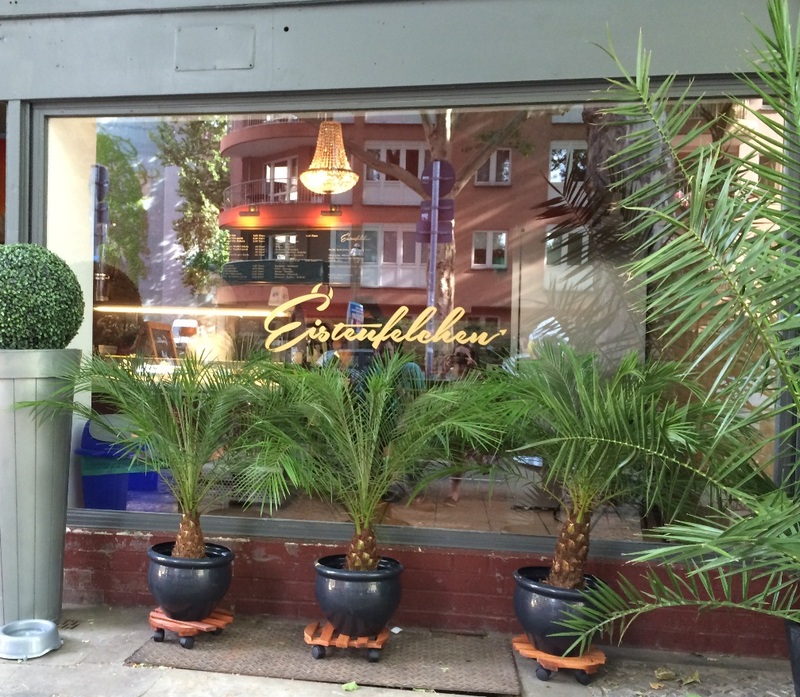 We chatted with the owners for a few minutes, and they found it hysterical that nussbaum is called walnut in English. Who knew walnut was such a funny word? It was one of those spectacular days that you want to bottle up and keep forever. Can’t wait to go back and do it again. Have you ever biked around a city? What was your experience?